Perfect for: Making a debut as a cannabis grower without fearing the typical issues cannabis growers face. Critical + Autoflowering is the most adequate cannabis seed by Dinafem Seeds for inexperienced growers. Easy to grow, fast and generous, this Dinafem Girl is the most grateful of the entire catalogue, which is the reason why she's become one of our bestsellers. 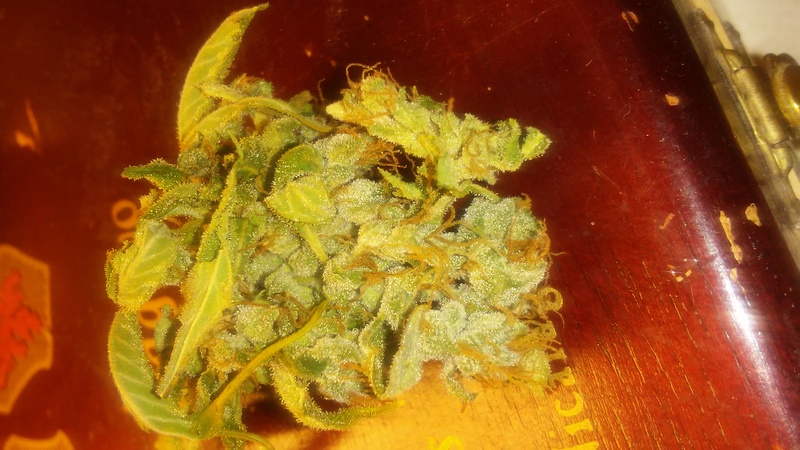 The main appeals of this half Sativa and half Indica hybrid are her extraordinarily relaxing potency and, above all, her speed and her yield, which is by the way rather high for being an auto. The only thing she complains about is excess moisture. Critical + Autoflowering turns into a slim and vigorous cannabis plant that, despite her autoflowering genes, can become almost 1-meter high. Both regular and homogeneous, she stretches once the flowering starts, upwards and sideways, keeping the branches well aerated with large distance between nodes. That structure is the heritage of her predecessors: Critical +, the most acclaimed Dinafem Girl, and Roadrunner Autoflowering. On top of that, she has very few leaves, which favours the production of buds thanks to proper light penetration. It’s true that she’s not the perfect strain for those looking for monster yields because autoflowering genetics aren’t noted for their productive capacity They, in exchange, grow incredibly fast. However, obtaining over 100 g per plant is rather easy, sometimes even twice that amount if the weather conditions are just perfect and we take care of them properly. 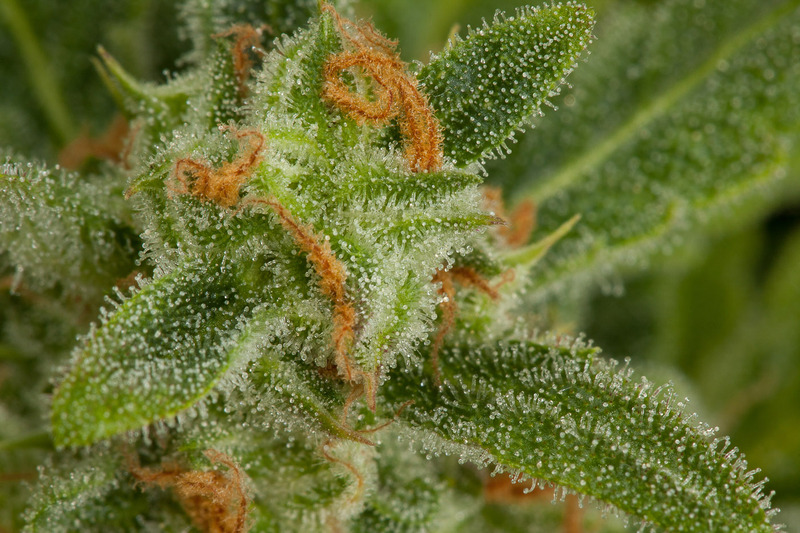 When it comes to the buds’ texture and looks, they are indeed very similar to Critical +’s flowers. They are not auto buds as such: they are compact, chalice-shaped and very resinous. The flavour and aroma of this cannabis plant are intense. Sweet and fruity overtones with hints of lemon, wood and spices. In fact, the fruity nuances start becoming noticeable as soon as the flowering kicks off, making for the perfect aromatherapy companion before the product is ready. This strain is synonymous with relaxation. The ‘high’ she delivers is more physical than cerebral and it spreads across the body leaving a very pleasant feeling of muscle relaxation. In fact, she is generally used for therapeutic purposes and so we recommend her for those seeking a sleep-inducing and pain-relieving strain. According to each person’s tolerance, and the amount consumed, she’ll cause one effect or other. It could be a great partner for those giggly moments if consumed in small amounts but a bit devastating in high concentrations. She can be grown in a really quick and easy manner, fair and square. Only 70 days and a standard diet are needed for her to finish her cycle and show her full potential. That’s why she’s so suitable for inexperienced growers. An incredibly grateful strain that grows super-fast and super-healthy without having to make any extra efforts. And that is possible because she showcases all the advantages autoflowering genetics offer: she's programmed to flower after the third week, even when all the needs of the plant during the vegetative phase haven't been met. Having said this, now you see why we think she’s perfect to get rid of any fears inexperienced growers may have regarding cannabis cultivation. She grows almost without help and, if we do take care of her, she'll offer heavier and better-quality yields We recommend, for example, adding 1/3 of coco coir to the substrate in order to improve aeration and accelerate all the metabolic processes of the plant. Great product. I am amazed by it's rapid growth and yield. Aroma is strong, even after first 10 days. I will definitely use again. Really recommend it's use. It won't disappoint. Tried it last year and was amazed by the result. Just planted the new crop and am soooo exited. Thank you guys for this extraordinary product! This is officially my first time growing, so I went with something that sounded fairly easy to grow.DinaFem's delivery was extremely quick - according to the site, it would take anywhere between 15-31 days to reach where I am, but the seeds were delivered in just 8 days.I used the paper towel method to germinate 3 out of the 10 seeds to begin with.After 24 hours, the seeds have already cracked open and I can see a robust root coming out.Haha I just hope I can grow them well.Thanks DinaFem!! somebody, please help! 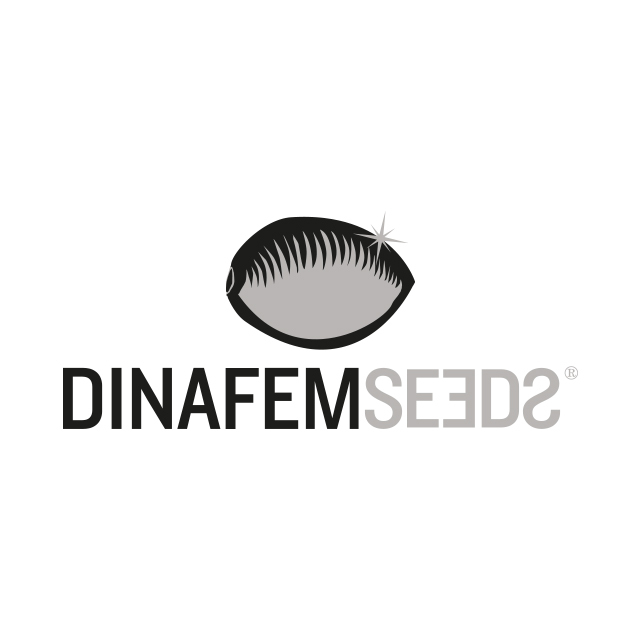 is it feminized seeds or not? germinated well, flowered quick and smooth, 2 months and thats it. One of this came as a goodie by DineFem - i tried thy automatics some yeras ago and wasn't satisfied.But this generation shows an completly other result: the smell and tast is as good as the "old" ones, but the the hieght and therefore the result was very much higher. What do you think about Critical + Autoflowering?